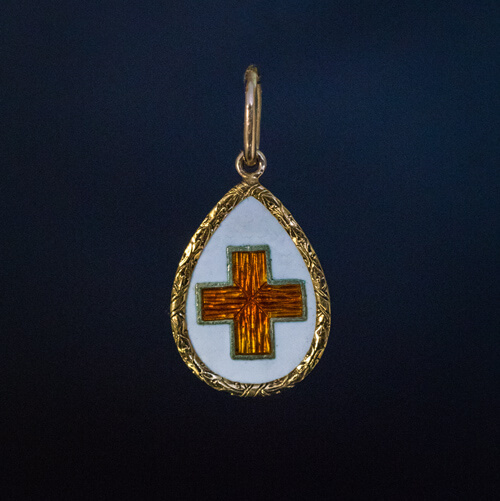 This rare FABERGE miniature egg-shaped pendant was made during World War I. 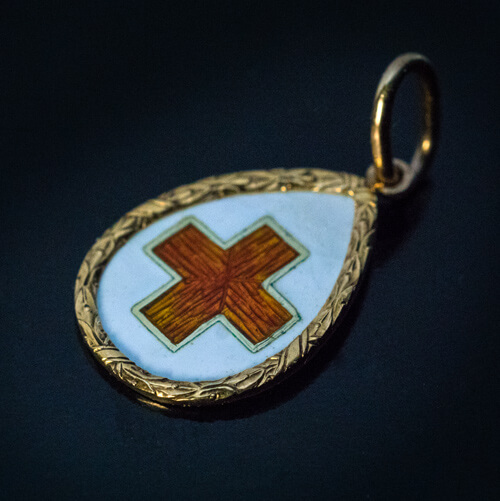 The 14K gold pendant is designed as a white opaque enamel egg with red guilloche enamel cross set in a ribbon-tied laurel leaf bezel. 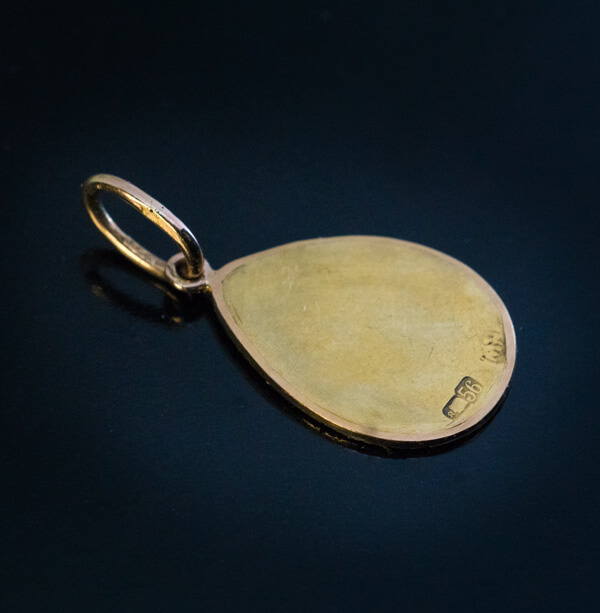 The pendant is marked on back with 56 zolotnik Imperial gold standard, St. Petersburg assay mark and initials ‘H.W.” for Faberge’s workmaster Henrik Wigstrom.